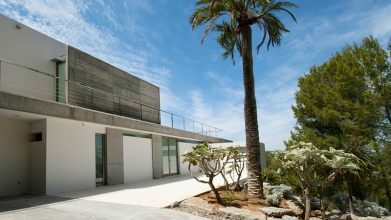 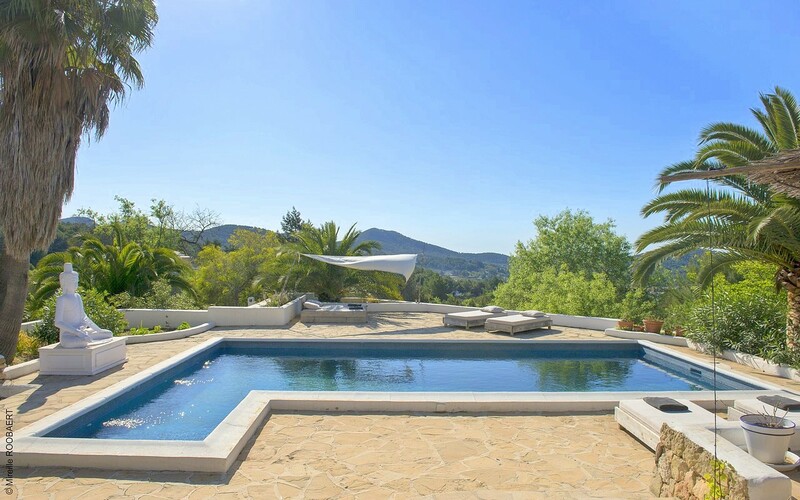 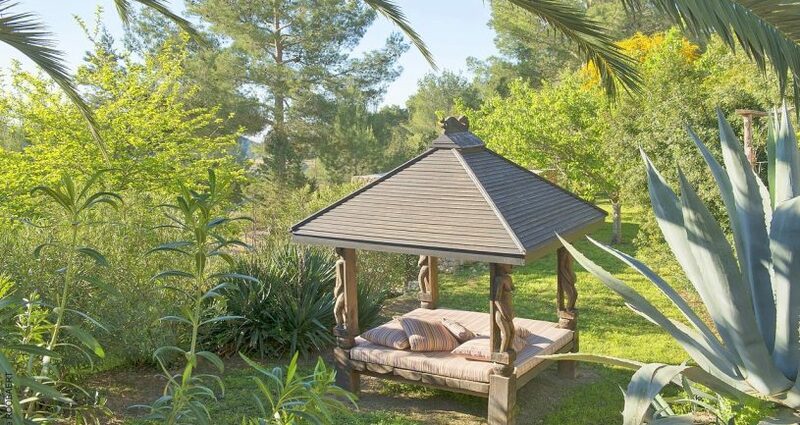 Majestic Finca enjoys absolute privacy and tranquility and is located only a few minutes drive from San Jose. 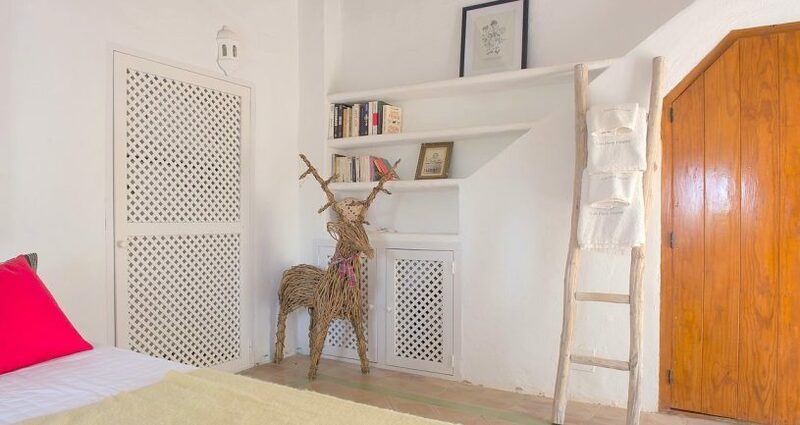 This charming country home has been lovingly and sensitively renovated in 2012, adding modern conveniences like A/C, skylights and central heating but also keeping the rustic Ibicencan style and traditional features throughout. 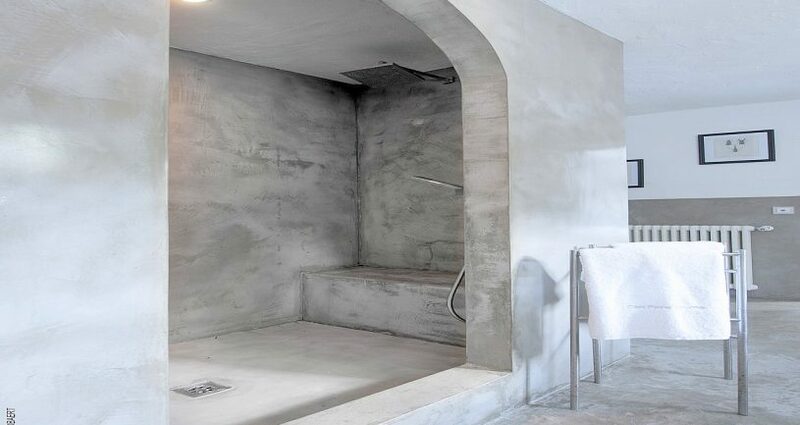 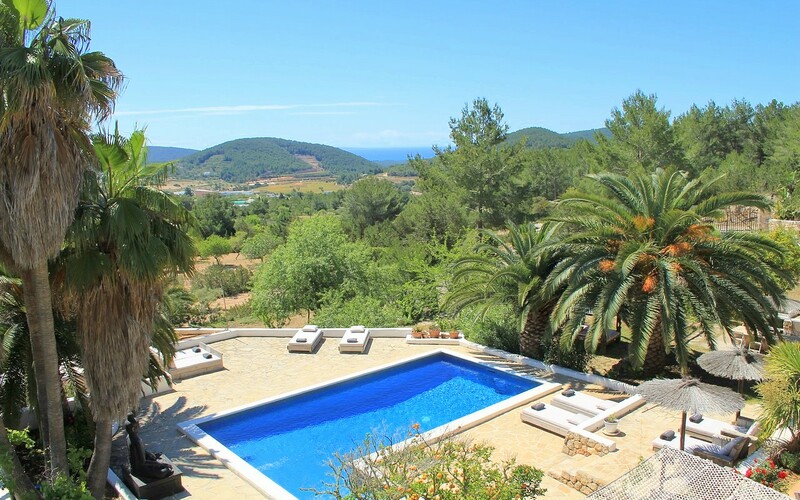 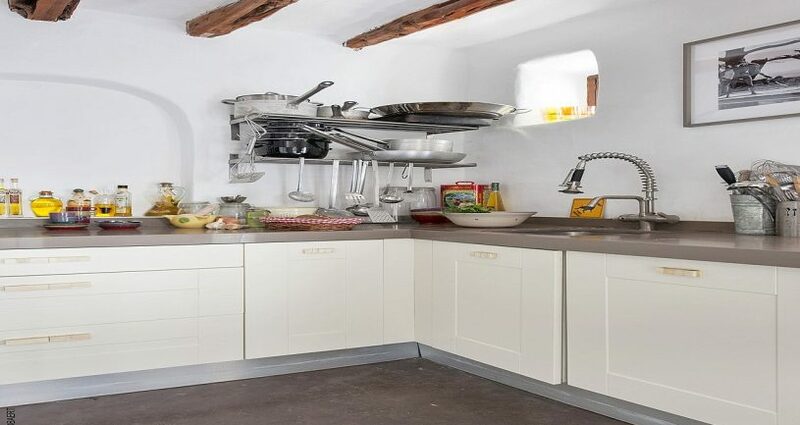 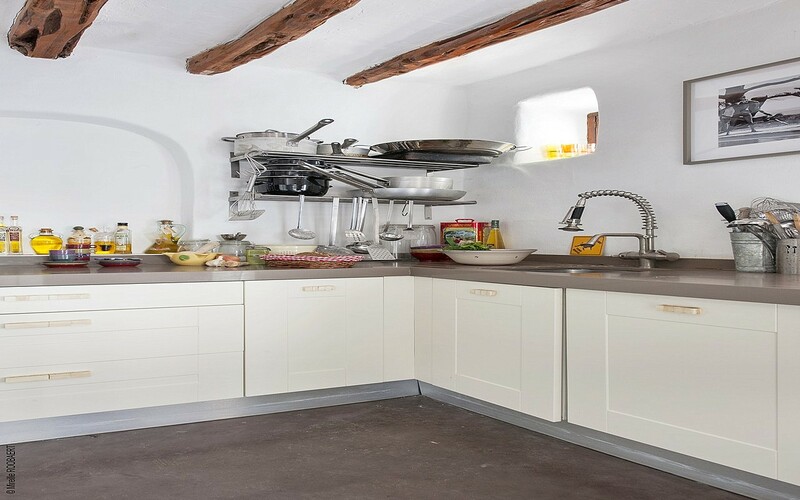 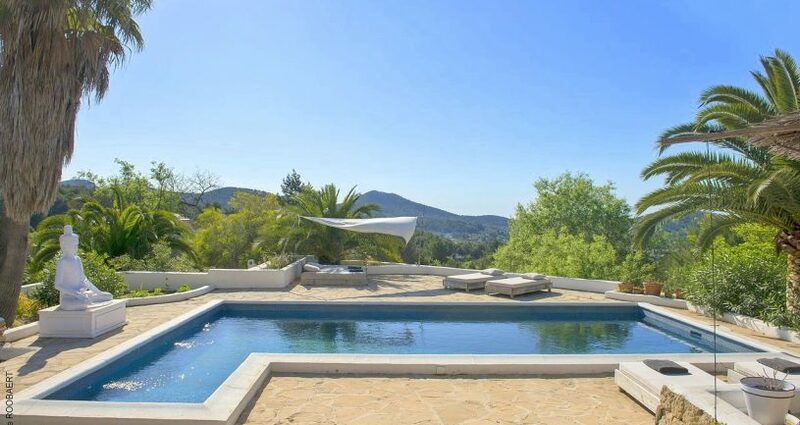 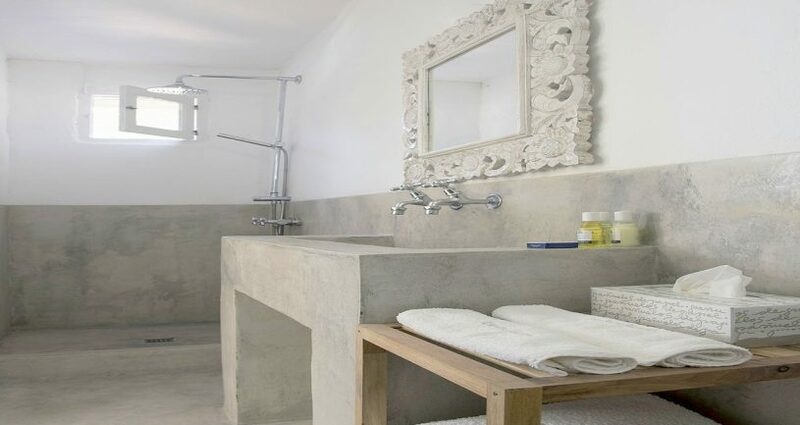 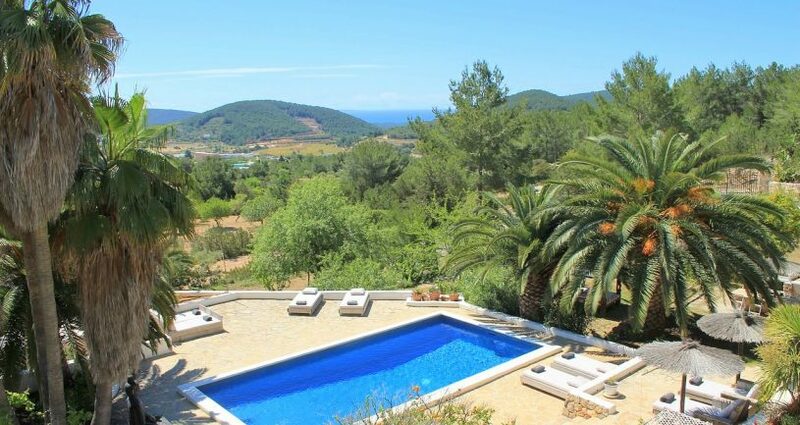 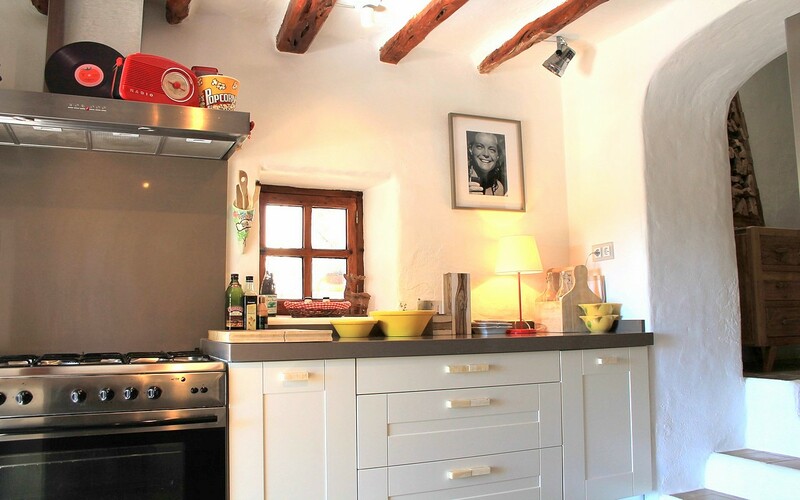 This include open fire places, white washed walls, a large traditional bread oven, thick stone walls and sabina-beamed ceilings, a large open-air porch and beautiful fruit trees and dry stone walls surround the house and pool area. 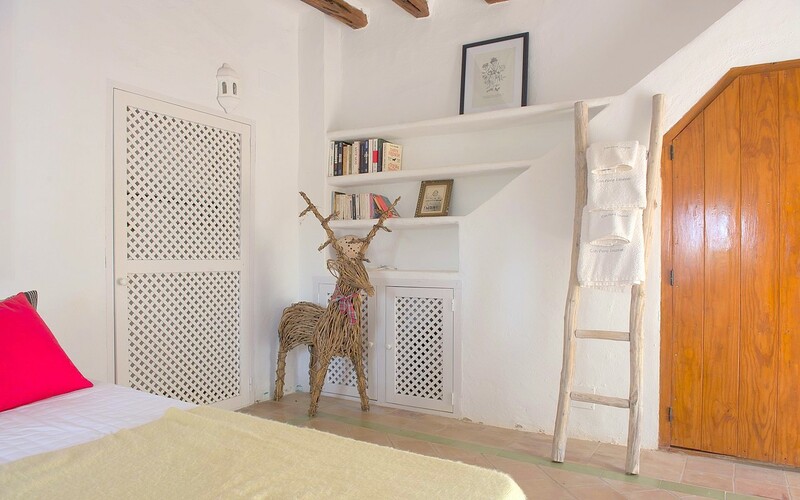 The main house in distributed on two levels with the large master suite on the top floor as well as a large open-air sala/porch, cosy little tv room and two guest bedrooms with a shared bathroom. 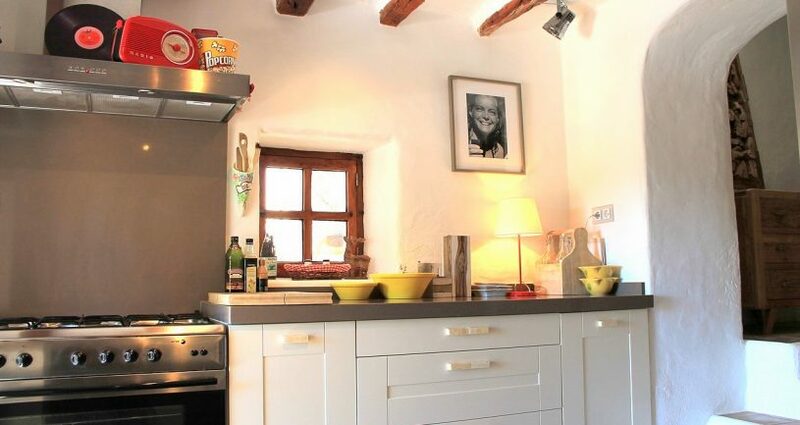 The property also has a traditional country kitchen, sitting-room which opens on to a large covered porch and 4 independent ensuite guestrooms with their own private entrance and terrace and two have an independent kitchen and sitting room. 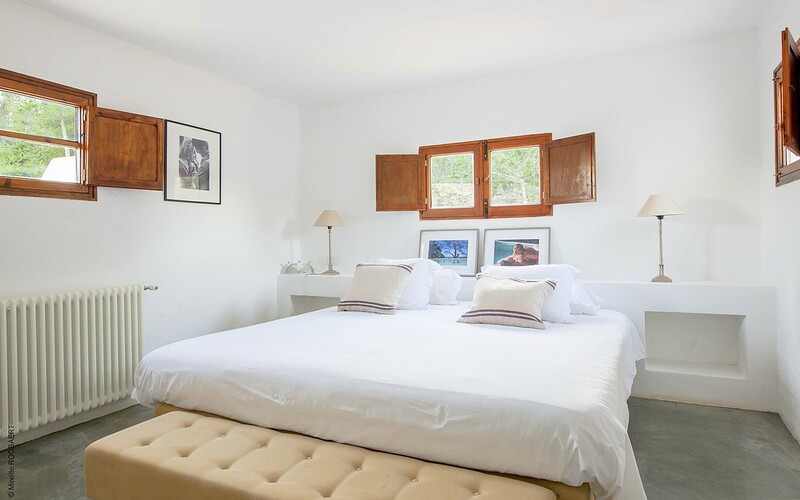 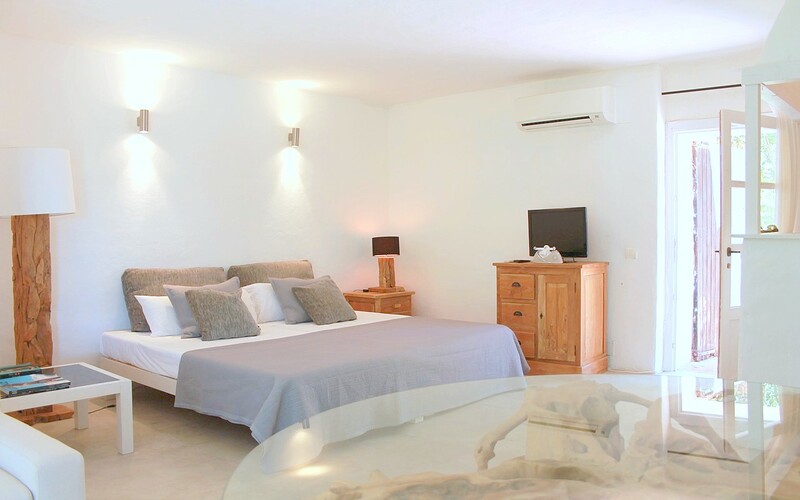 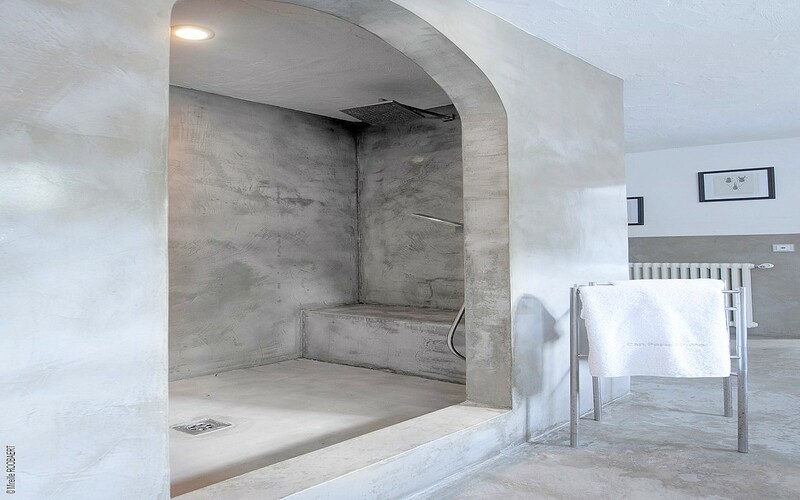 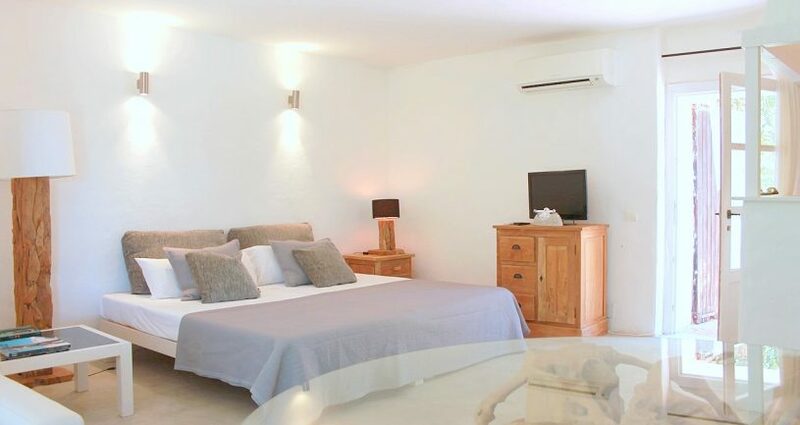 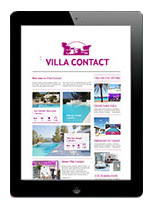 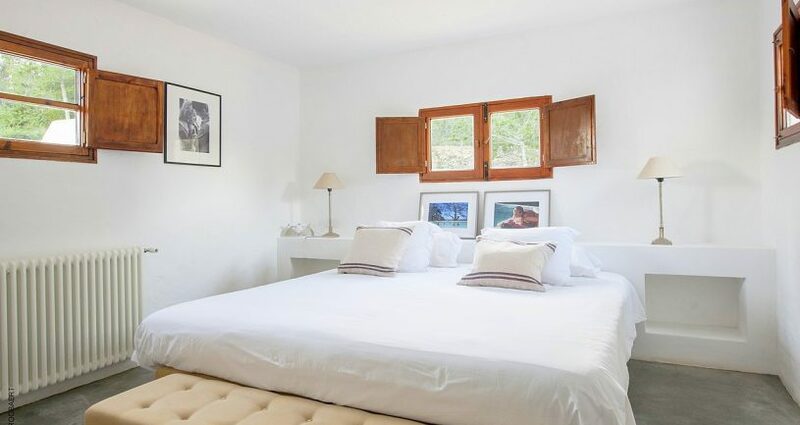 The property has a rental license and accommodates up to 20 people and is fully equipped with A/C, wifi, private shared well and central heating for all year round living! 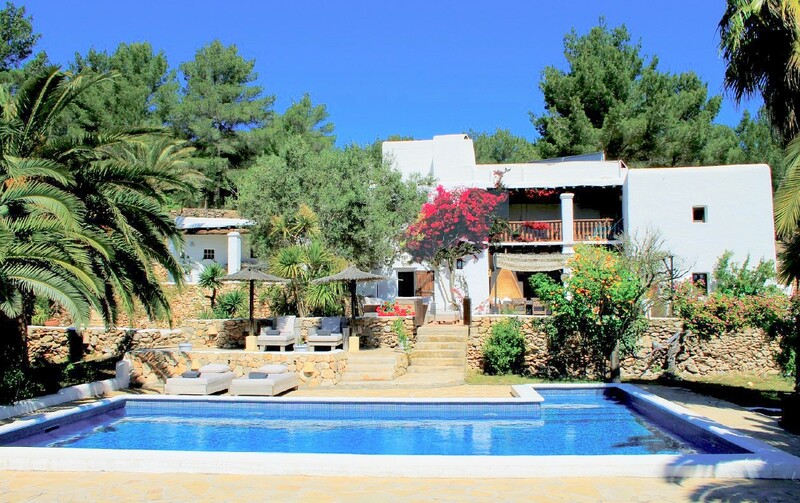 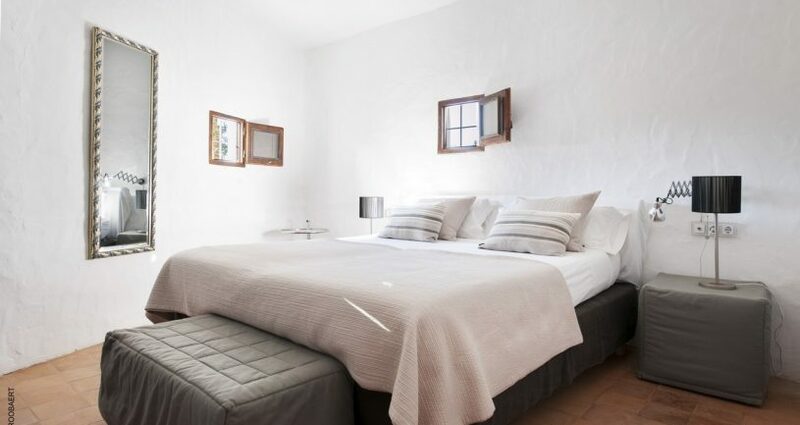 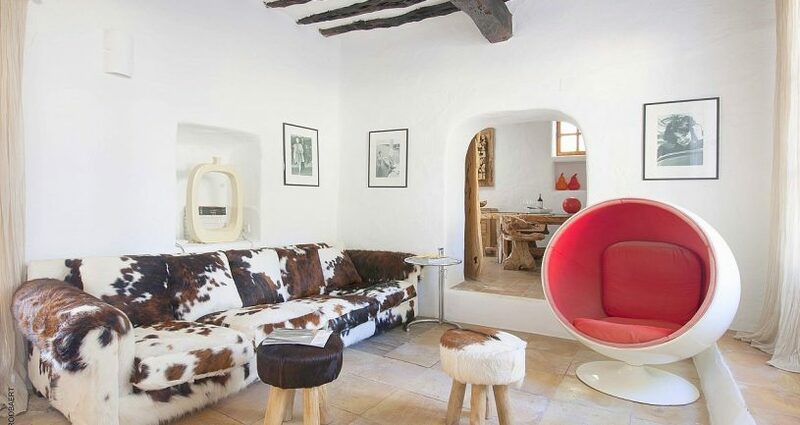 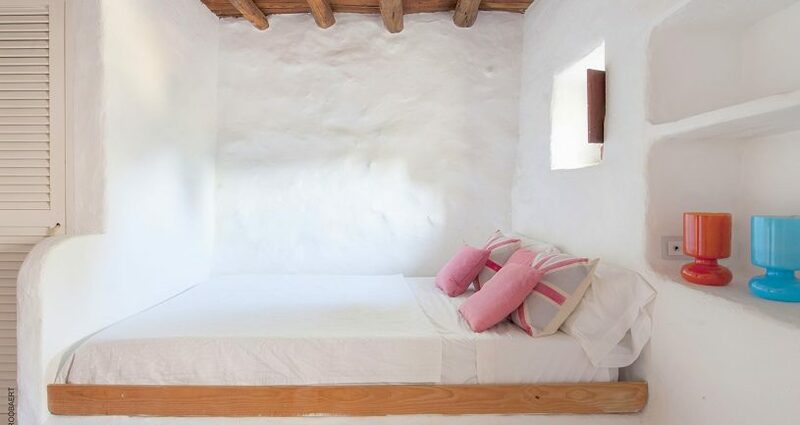 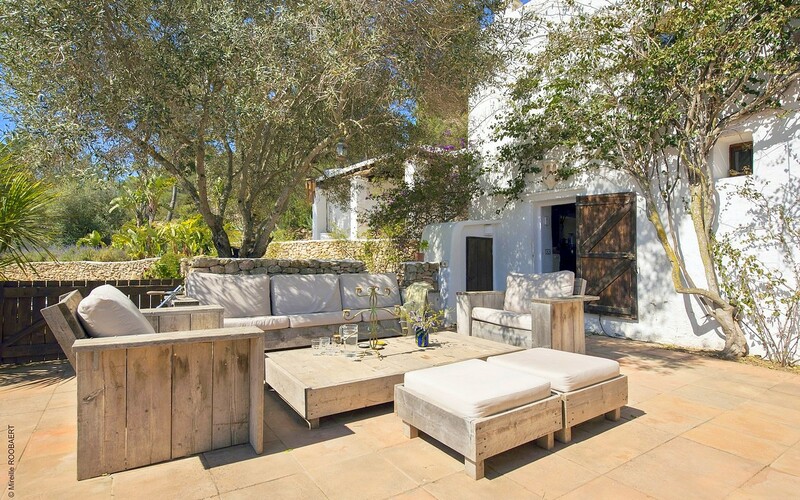 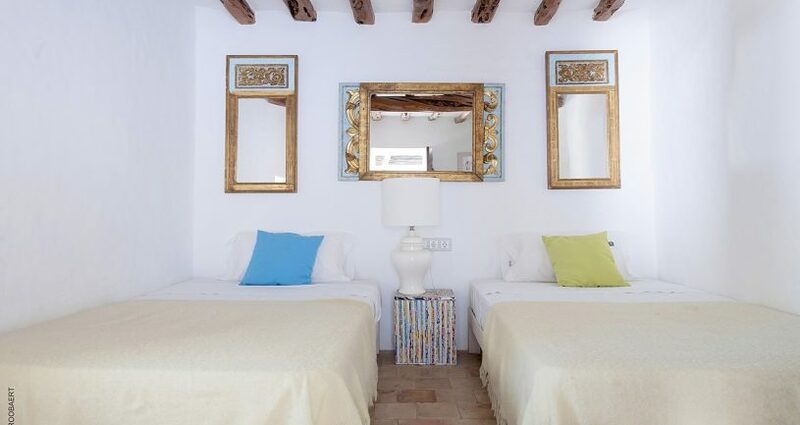 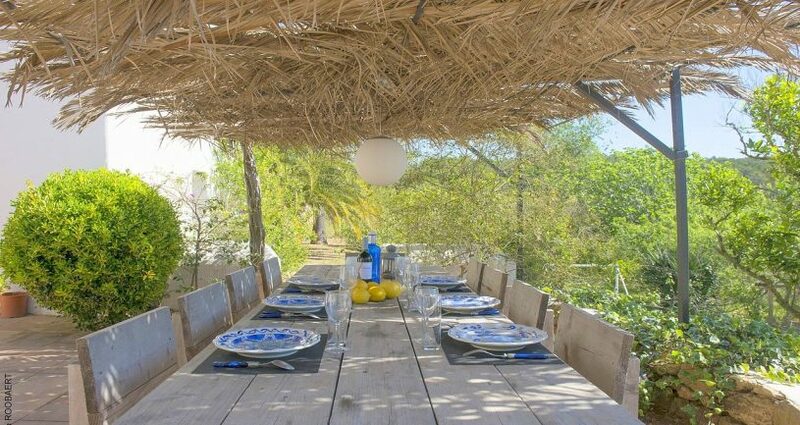 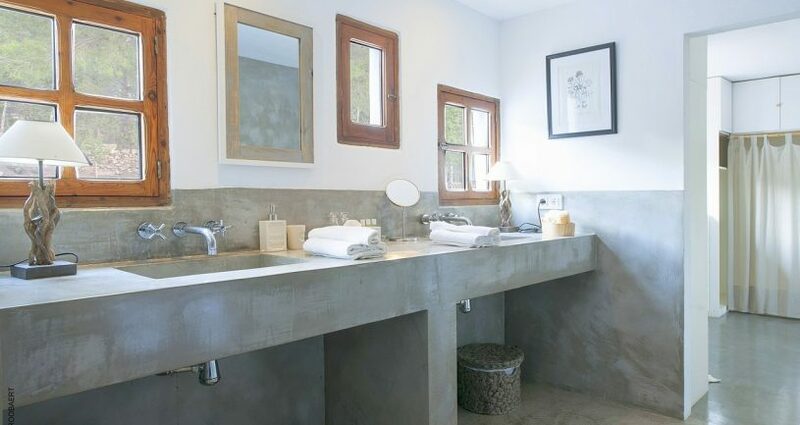 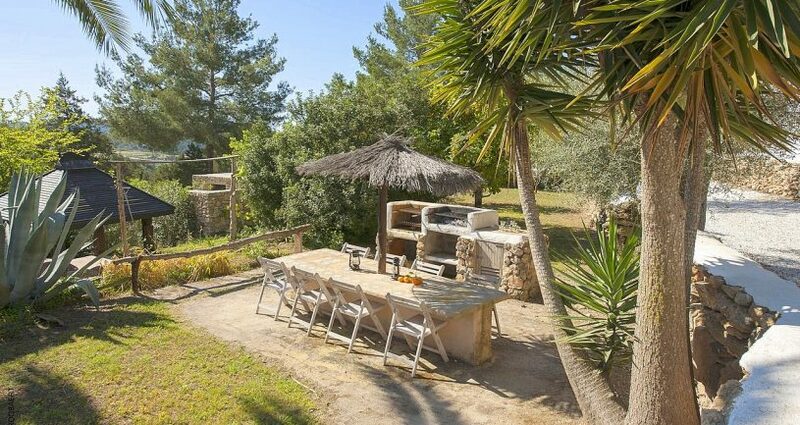 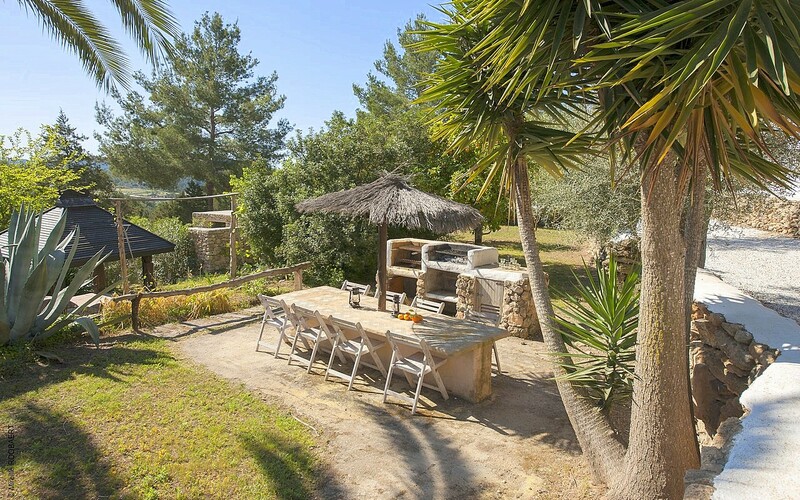 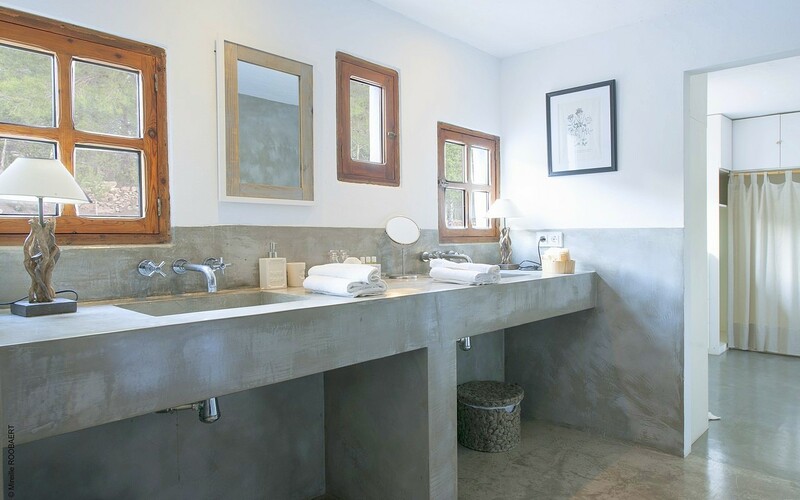 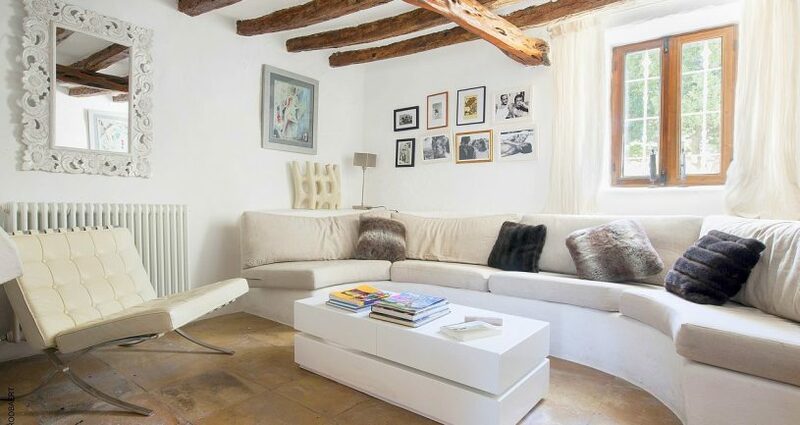 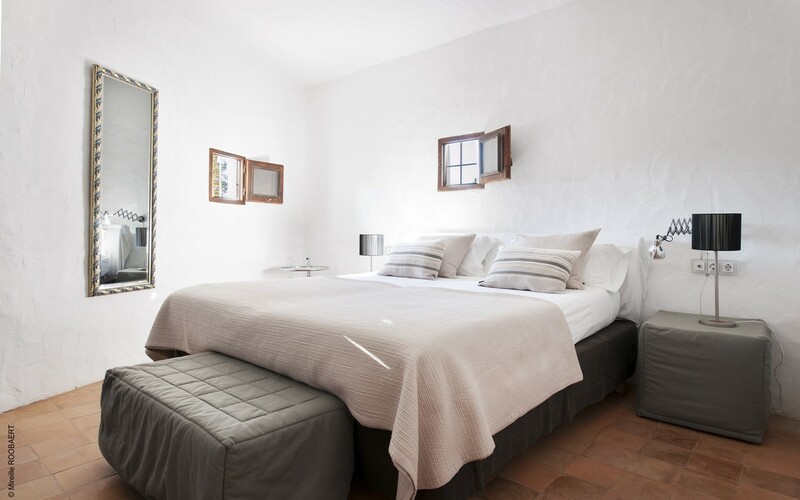 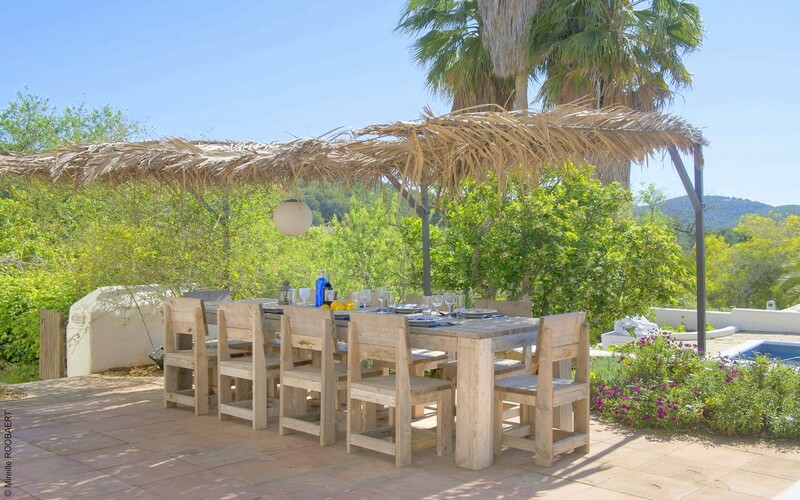 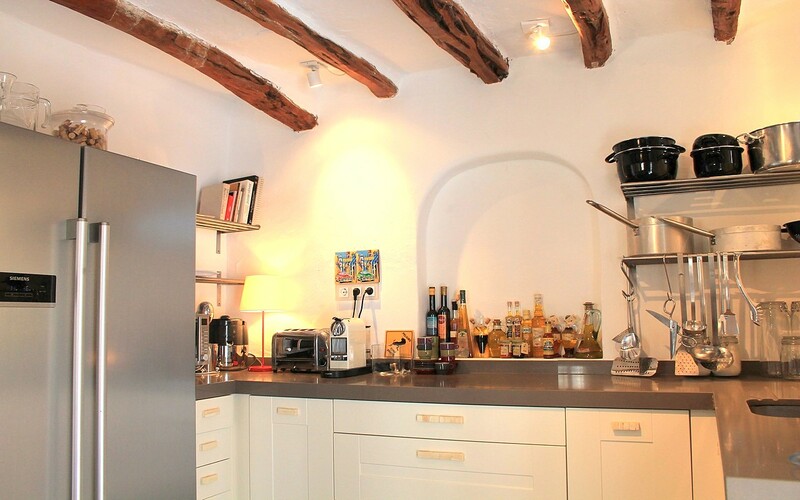 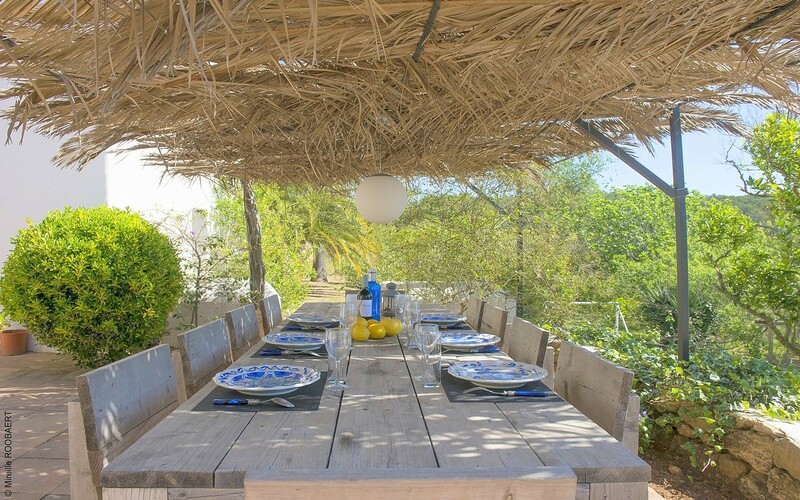 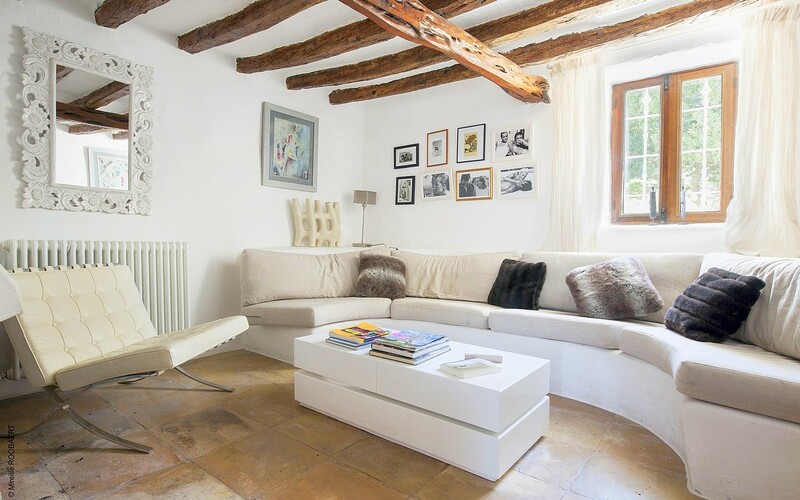 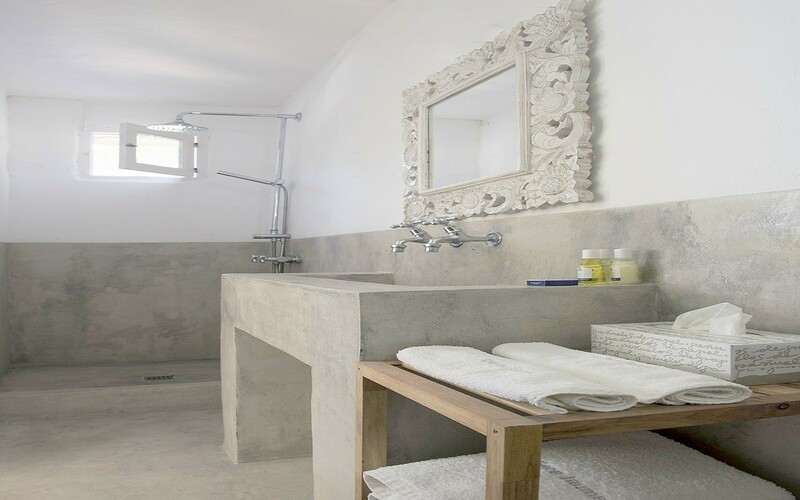 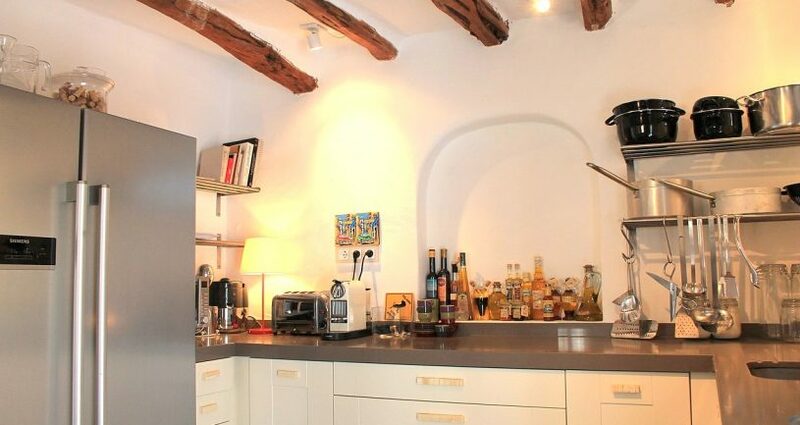 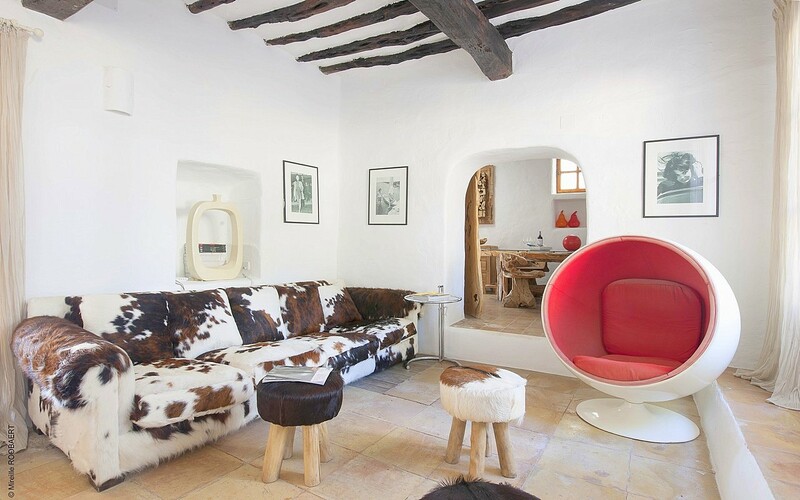 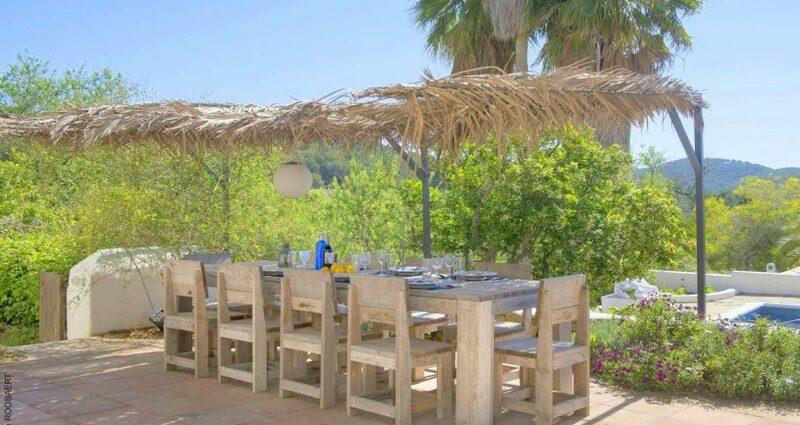 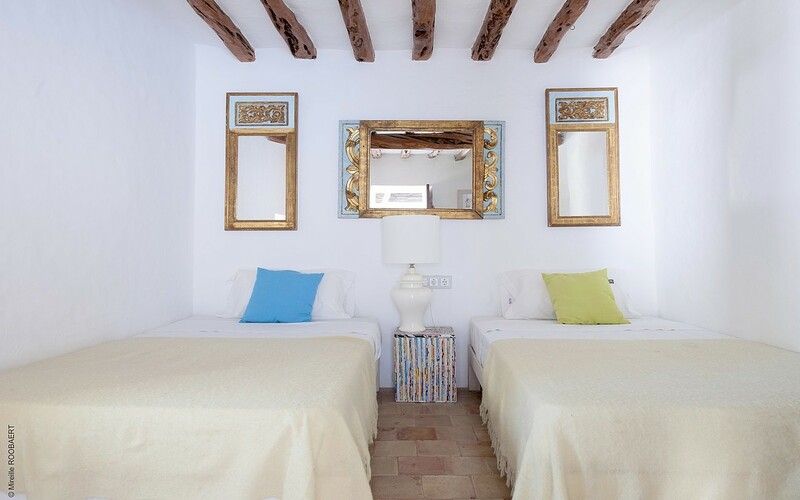 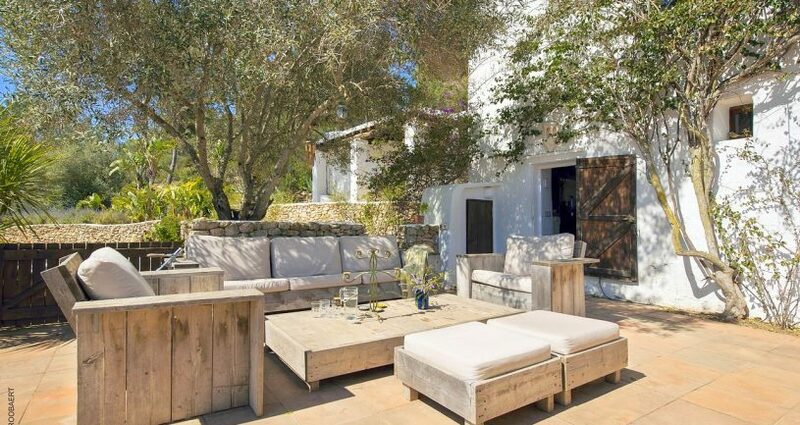 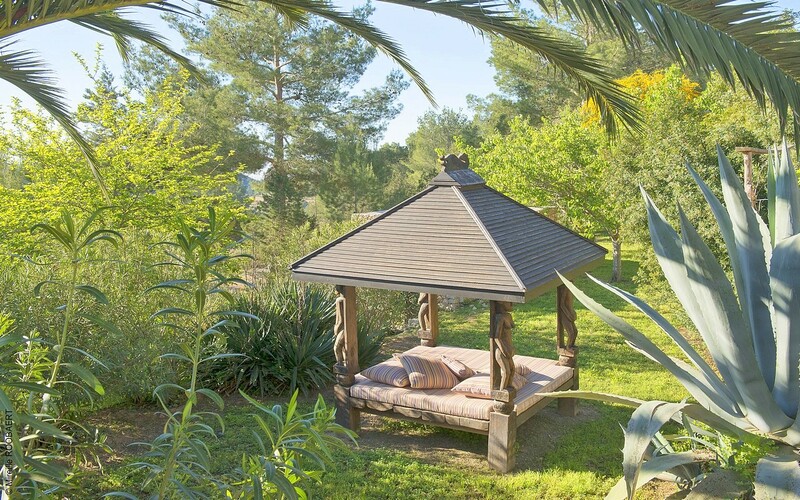 This rustic dreamy finca is ready to move into and is a real historical gem!